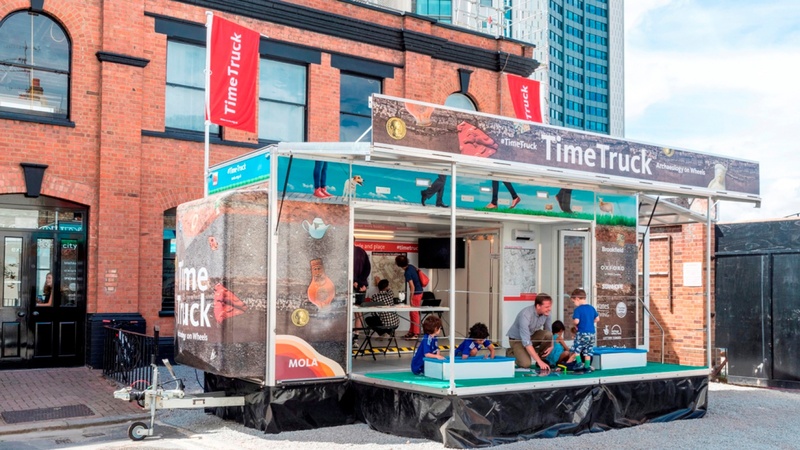 As a busy school year comes to a close there is no rest for the Time Truck as it gears up for a busy summer season. As well as a last few visits for our free schools programme, including trips to a number of primary schools near to our Northampton office, the summer programme will begin in June. Please see below for more details of when you can catch the Truck. MOLA is delighted to announce a public display on the archaeology of Croydon from prehistory to the Anglo Saxons as part of Croydon Heritage Festival. The MOLA Time Truck will showcase recent discoveries at Lion Green Road alongside a range of objects from the collections of the Museum of Croydon. Budding young archaeologists will have the opportunity to try out some digging in our dig boxes and meet the Time Truck's resident skeleton! 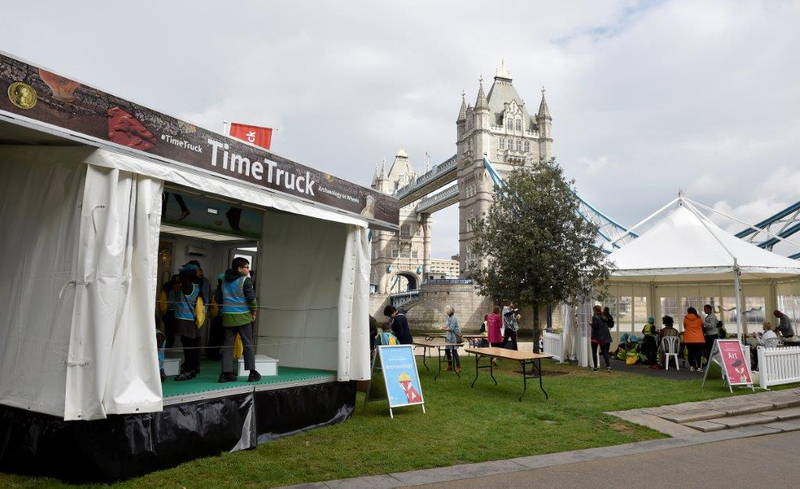 Join us on the Time Truck at Potters Fields Park every afternoon during Rivers Week from 3pm-6pm to uncover the fascinating archaeology of London’s river with the Thames Discovery Programme, and find out more about what it tells us of the city’s history. You’ll be able to see and handle finds collected from the foreshore and meet volunteers from the Foreshore Recording and Observation Group (FROG) to learn about what they do. London Rivers Week gives you the chance to go that step further and explore the many other rivers in the capital. All over the city, the London Rivers Restoration Group – the partnership behind London Rivers Week – is urging Londoners to reclaim, rescue and restore our rivers. Re-live Bermondsey's fascinating biscuit making history aboard the MOLA Time Truck, and learn about forthcoming plans for the Biscuit Factory site on Drummond Road. Hop on board to get your teeth into displays of biscuit tins, cutters and adverts that tell the story of more than a century of biscuit making in Bermondsey, including the invention of the biscuit as we know it today! 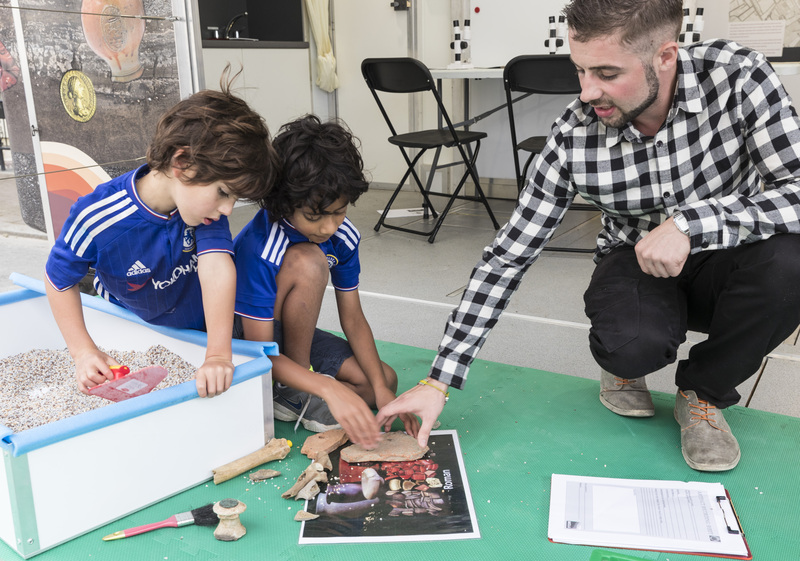 Hop aboard the pop-up exhibition curated by top archaeologists to see and handle objects used in the reconstruction of the Temple of Mithras and learn about the interpretation of the 14,000 finds made during excavations on the site. Gain a fascinating insight into the reconstruction of one of the most important temples of Roman London. This is a new exhibition to mark the re-opening of the London Mithraeum on its original site. To mark the opening of the London Mithraeum meet some of the original Londoners, bakers, soldiers, traders and craftsmen, whose stories are brought to light in the Bloomberg writing tablets, found during the archaeological excavations at the new Bloomberg building. Learn how the remarkable discovery of these 400 documents, dating to the 1st Century AD, has unearthed Roman London’s first voices.